These are some of my favorites of the vintage fabrics I managed to score earlier this week! I've already made one of them into a girl's tie, and a least a few more of them will become girl's ties or collars. 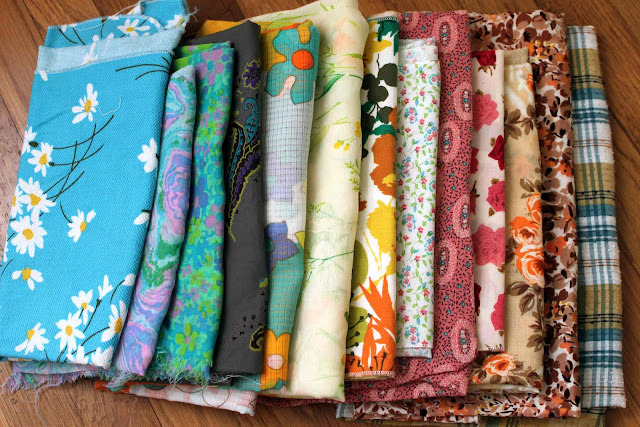 I can never get enough of pretty vintage fabrics all lined up.